We are very sad to about the news that #2 of the Breitling Jet Team crashed. At the same time very happy that the pilot and his technician ejected safely. The team displayed at the Den Helder Airport Airshow on Saturday, September 15th, 2012. The BJT almost reached Kleine Brogel Air Force Base, when #2 reported technical problems. Soon after this, the L-39 jet #2 crashed in a field near the Dutch-Belgian border. After the crash, the jet didn’t catch fire, first speculation say it just run out of fuel. Did they use a LOM Praha engine? We heard from the Breitling Jet Team maintenance crew that 3 L-39s had engines with modifications. A couple of L-39s have engines built or upgraded from LOM Praha, a state-owned Czech manufacturer. There has been a discussion between Ukrainian manufacturer Motor-Sich and LOM about the responsibility. Motor-Sich claims LOM made alterations to the L-39 engine without consulting the Ukrainian designer and producer of the engine. LOM engineers replaced the titanium parts in the front of the engine with steel ones. It is assumed that this alternations already led to a L-39 crash of “Les Ailes de Pégase” near Gironde in France. But anyway, let’s wait until the incident cause has been researched. Breitling Jet Team will be back! We met the leader of the Breitling Jet Team, Jaques Bothelin two years ago in Switzerland to talk about a possible cooperation. He’s an impressive personality and we are convinced that he’ll lead his team during this hard time. We hope our friends of Breitling Jet Team will be ready with their amazing display program soon. The Breitling Jet Team has taken the decision to fly back to the team’s home base in Dijon, France. They apologise that they will not be displaying at Sanicole in Belgium and Lens in France. And they say they will be back in the air & displaying very soon! Well, let’s hope Jaques Bothelin and his team will manage to be ready again soon to show their impressive discplay program. 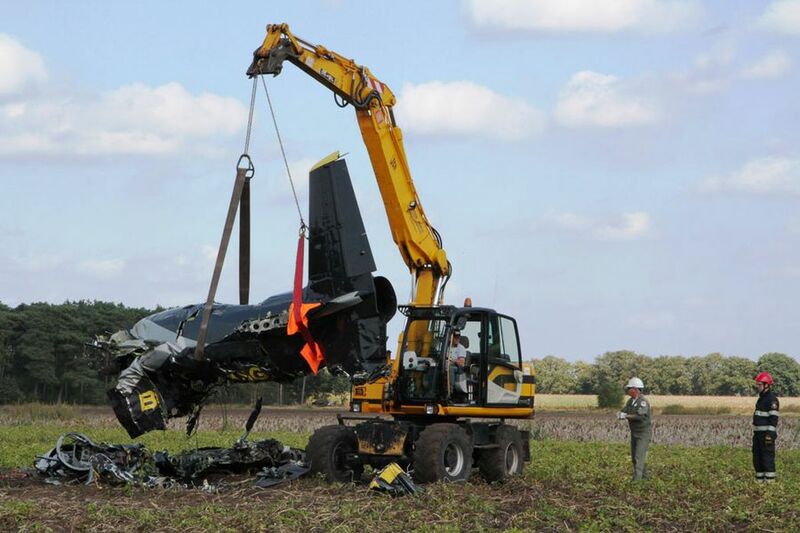 Also we hope that the negative series in September will end soon, after another L-39 of the US display team “The Hoppers” crashed at the first September weekend in Davenport.